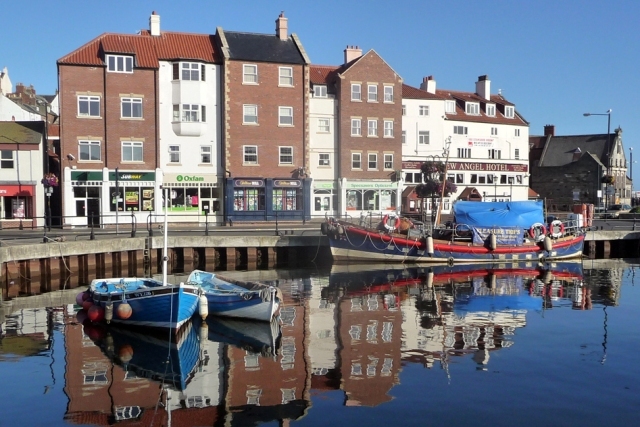 Welcome to a fourth gallery of images belonging to Alan Wastell a close friend whose main employment is with the local harbour office. His main hobby is undoubtedly photography in particular all aspects of shipping including the local trawler fleet. Alan freelances for the Whitby Gazette and takes great pride in his abilities, he contributes to many publications and has enjoyed success in a variety of shipping and country magazines. The lack of commercial shipping and what's left of a once proud fishing fleet has driven him to change the way he approaches his hobby, yet he still maintains a serious approach which is reflected in the style and character of his work. 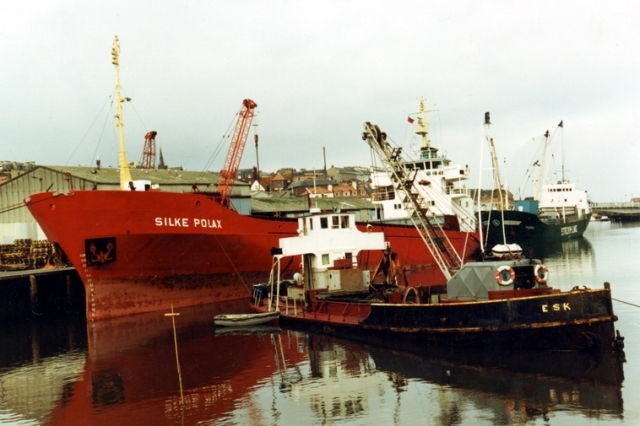 The old "Esk" dredger with the former grey cargo wharf, whose replacement is also being removed today. The former Whitby lifeboat Mary Ann Hepworth settled in the dock end of the harbour. 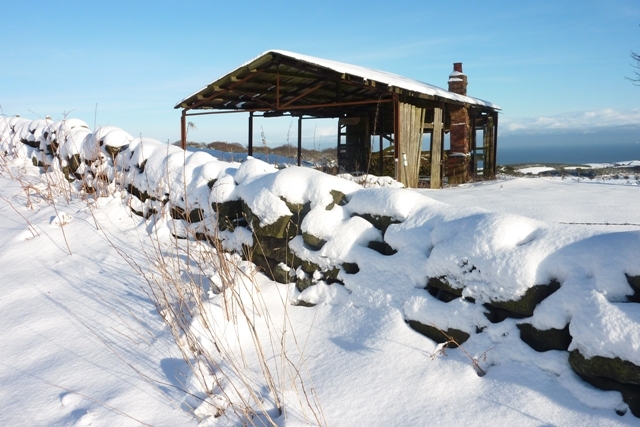 A picturesque scene on the North Yorkshire Moors. 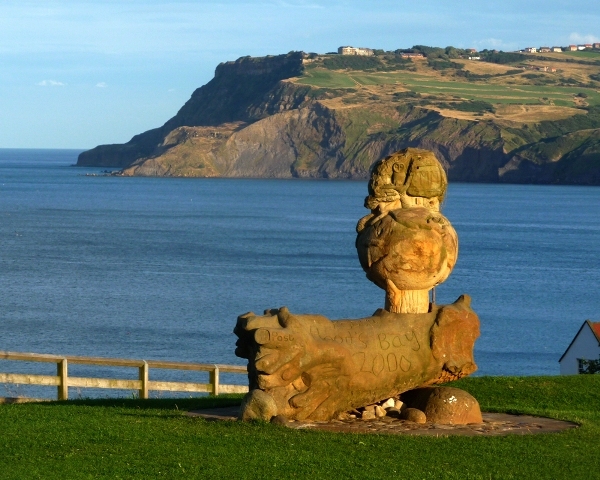 A pleasant sculpture at the top of Robin Hood's Bay. 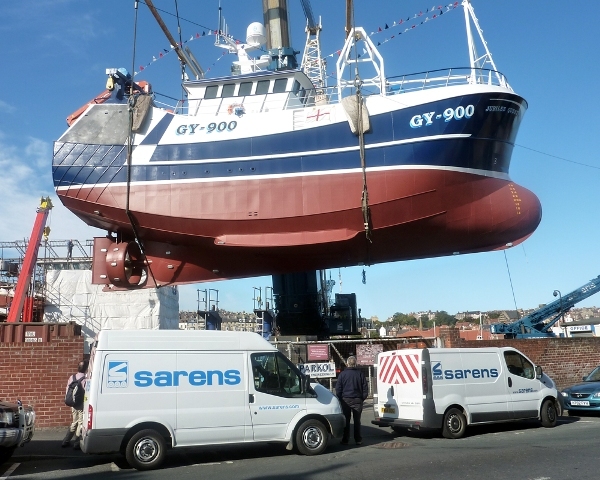 One of Parkol Marine's newly built trawlers being craned around into the harbour. 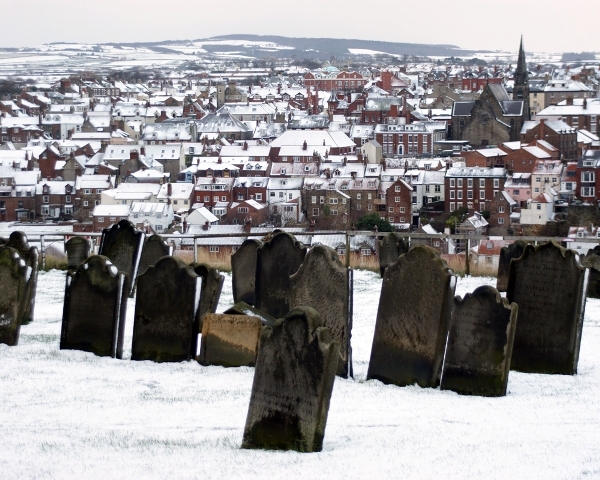 The view from St. Mary's church on the west side of the town, adjacent to the Abbey. 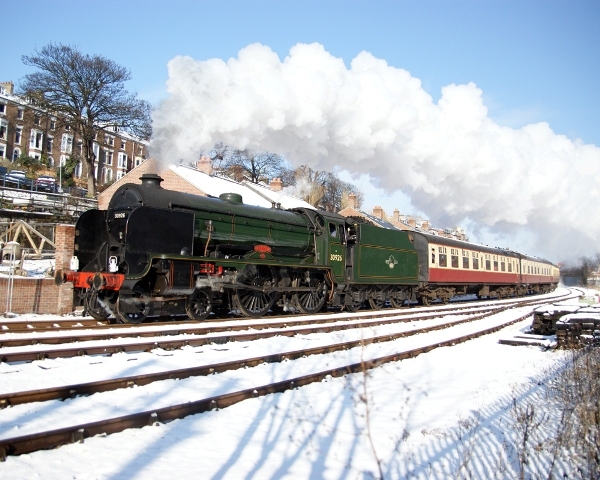 One of the fine steam trains which run frequently from Whitby across the North Yorkshire Moors. If you would like to contact Alan Wastell to discuss a personal commission he can be contacted on 01947 605253.